Every week we round up the previous week's product announcements in synths, soft synths, modules, and pro audio / recording gear relevant to synth enthusiasts. Here's the latest! Eventide's legendarily smooth digital delay, deriving from the vintage model 1745, is now available in Eurorack format. All parameters are CV-controllable, resolution goes up to 24-bit/192kHz, delay time goes from 0.11ms to 10 seconds, and it can loop and run backwards. Product page here. Price: $399. This collection of synthetic basses, leads, arpeggios, and more synthetic sounds for Applied Acoustics' renowned analog-modeling soft synth contains 158 presets by sound designer Daniel Stawczyk. There's a little something here for fans of all styles of modern music. Product page here. Price: $39; on sale at the time of this writing for $19. The Lexicon 480L is an icon among studio reverb processors. Normally, all four of its internal CPUs could be run in a split mode, meaning you could have two different reverbs, each mono in and stereo out. The rare and sought-after Surround/HD Cart (cartridge) let you gang all four CPUs together, either in a quadraphonic configuration or a mode in which channels 1 and 3 went to the left output and 2 and 4 went to the right. This allowed for combining and morphing reverbs - including the early reflections - in a way no other product at the time did. This upcoming plug-in from Reverb Foundry casts this in software, and our early impressions of an evaluation copy are that it's dead-on.. Product page here. Price TBD. This custom Kontakt-powered library of pulsing, moving loops and motifs is aimed at film, TV, and game composers. 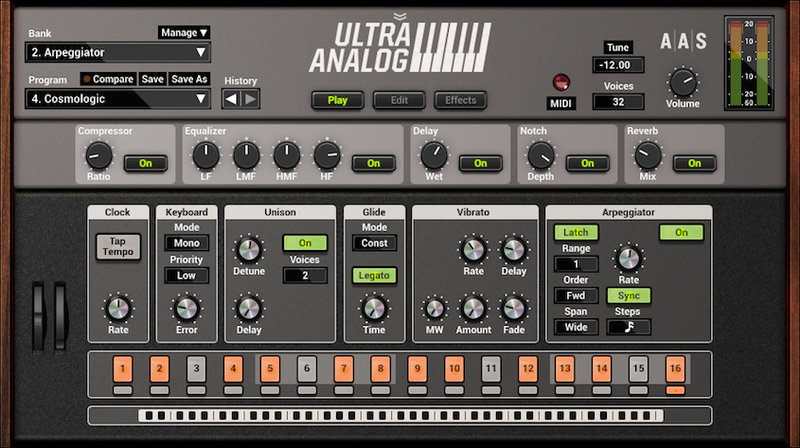 With three variations per loop, legato mode, and extensive modulation and synth-engine options, it more than earns its price of just $99. Lots of audio examples are on the product page. Does your Eurorack need a multi-timbral polyphonic synthesizer capable of a wide variety of sounds, that nonetheless behaves like a CV-controlled oscillator? The General CV is that, and also a sophisticated CV-to-MIDI converter than can generate massive amounts of MIDI note and CC data either from the CV inputs or entirely agorithmically. It launched on October 7 at Synthfest UK. Price: $349 US. A digital piano on a synth site? When it has this kind of technology inside, absolutely. Yamaha's latest Clavinova line will scan your iTunes library and create custom scores for following along on your iPad. In sync with those, ladders of four "stream lights" above each key approach the key as you're supposed to hit it, making for a "Guitar Hero"-like learning experience. The iPad also serves as the control center for a wide range of sounds and arranger-like auto-accompaniment features, letting the instrument maintain the appearance of a dignified upright piano. Product page here. Price: $3,499.